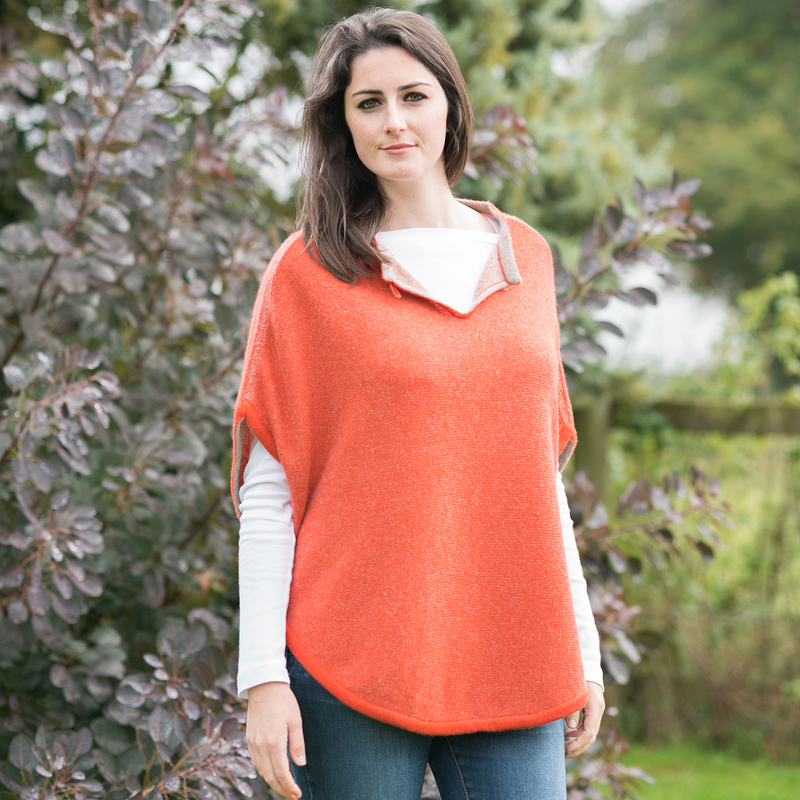 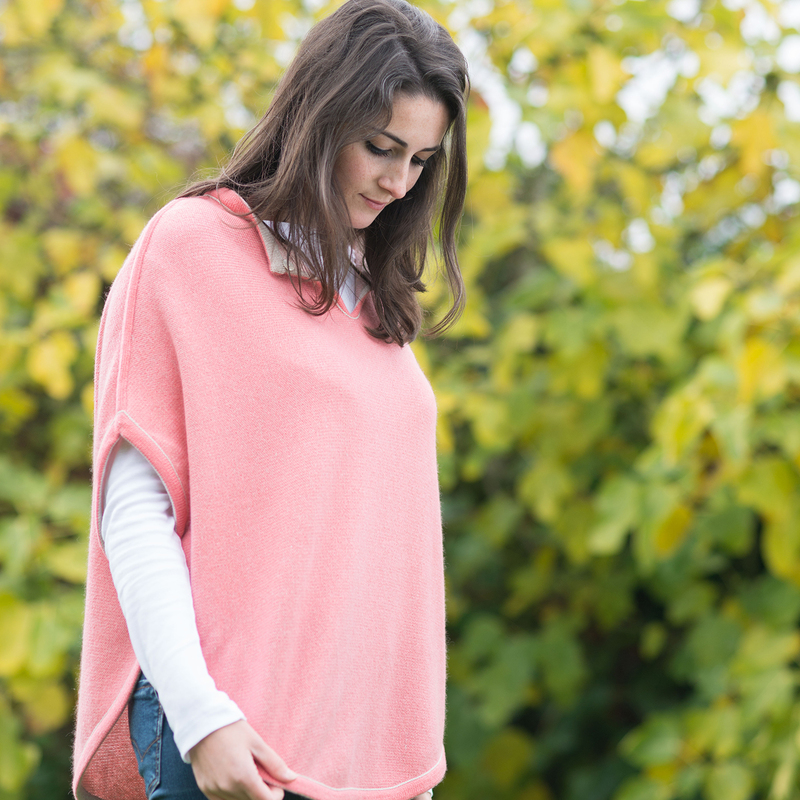 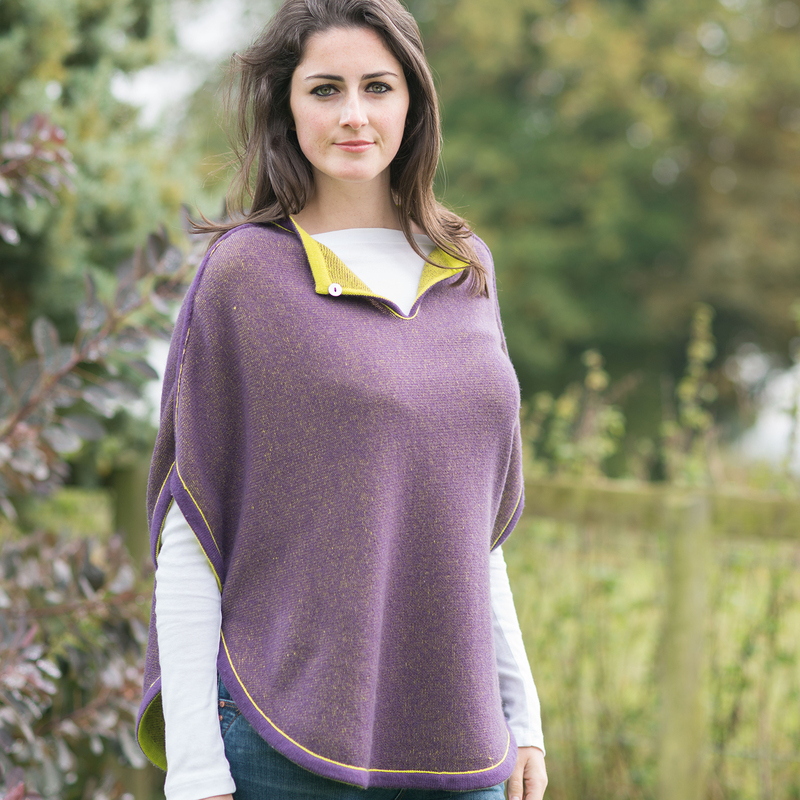 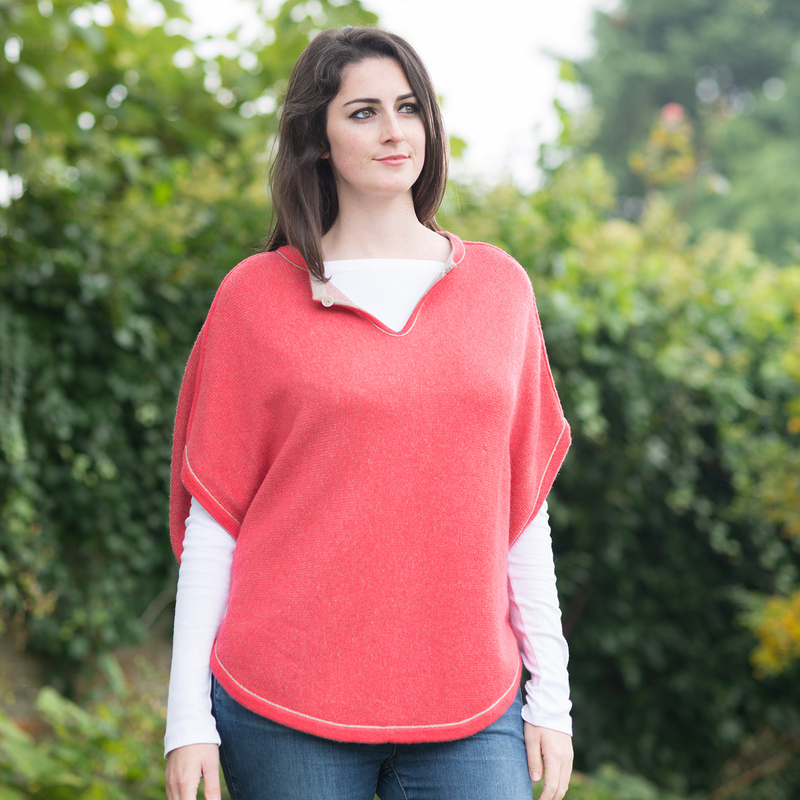 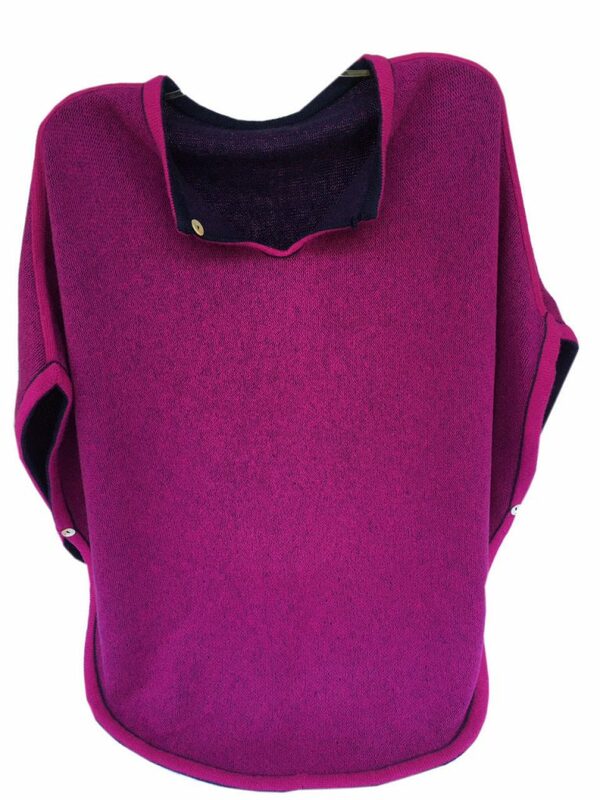 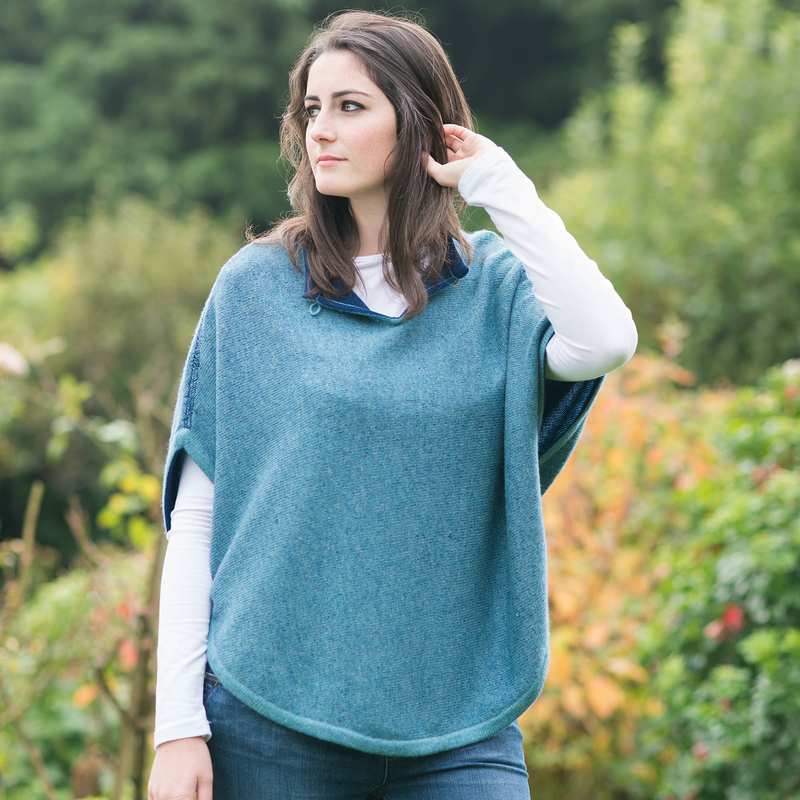 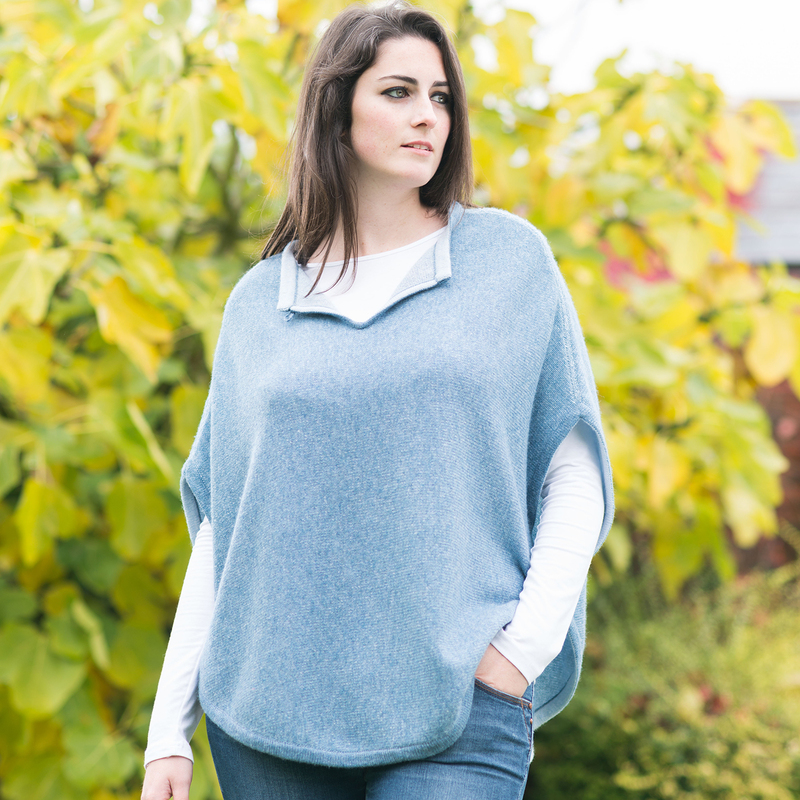 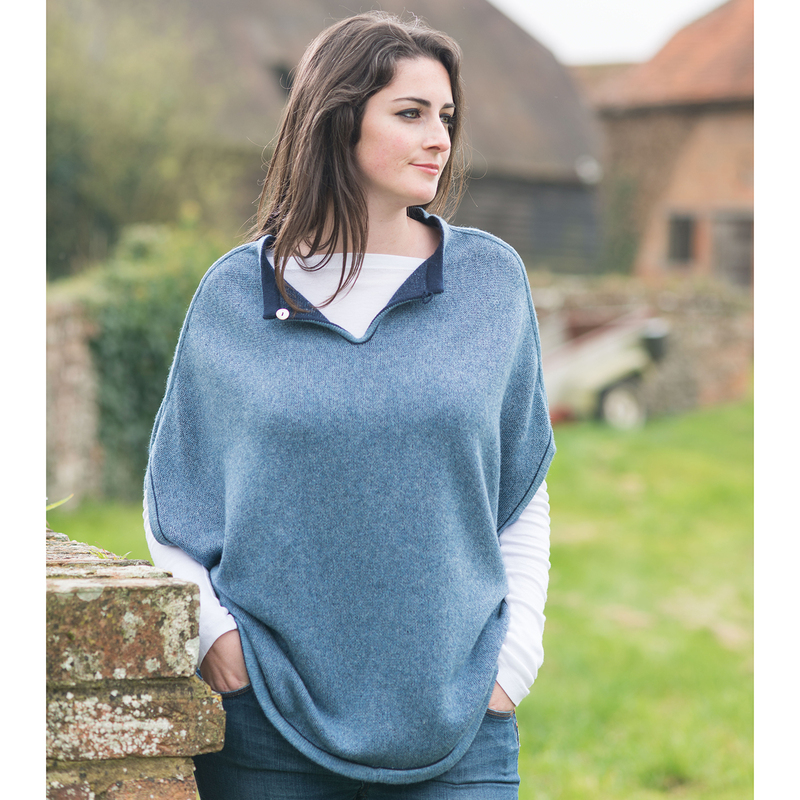 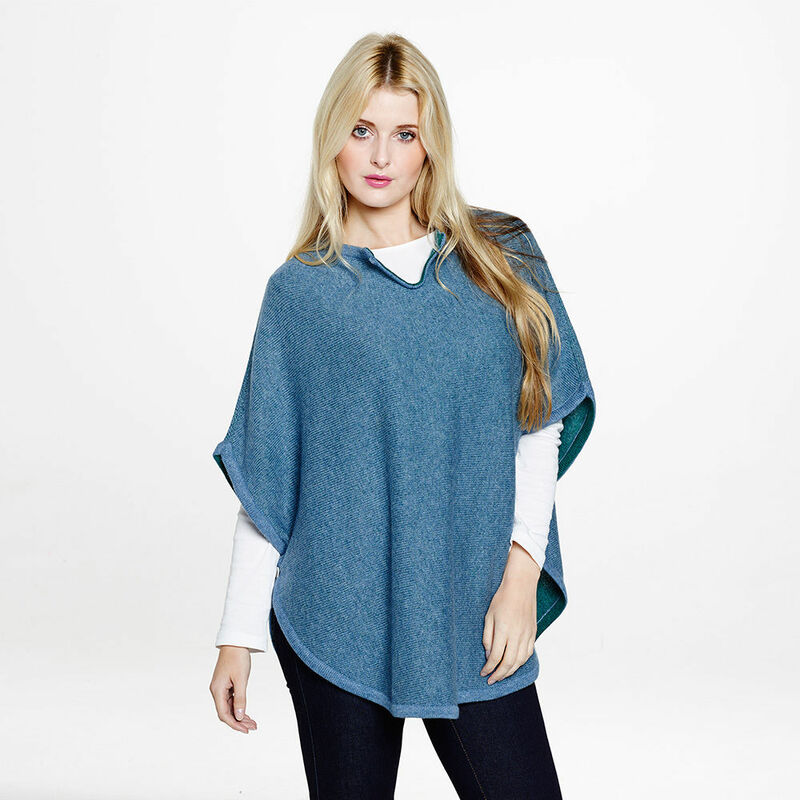 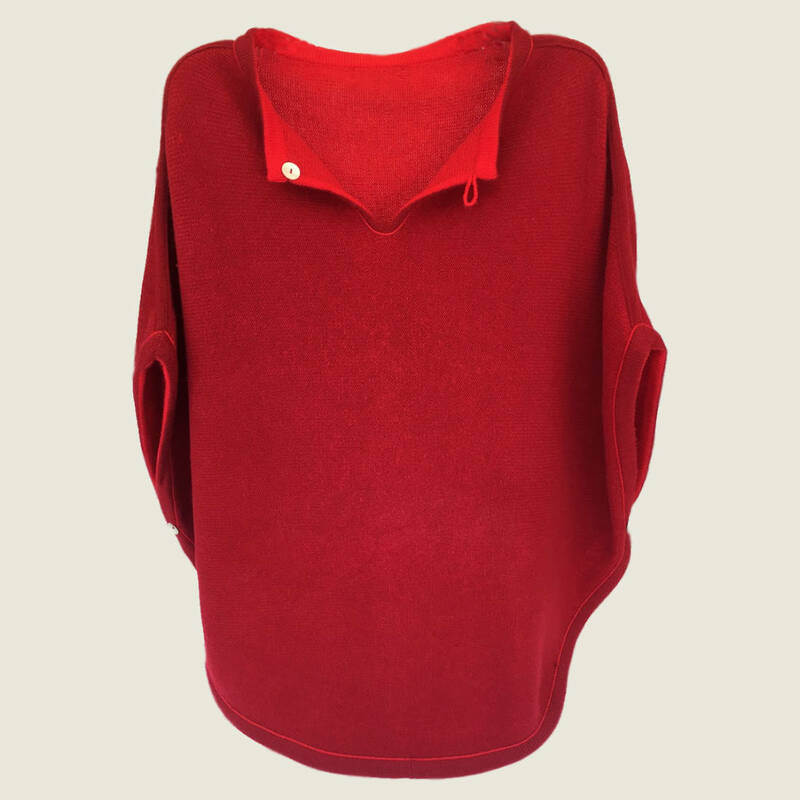 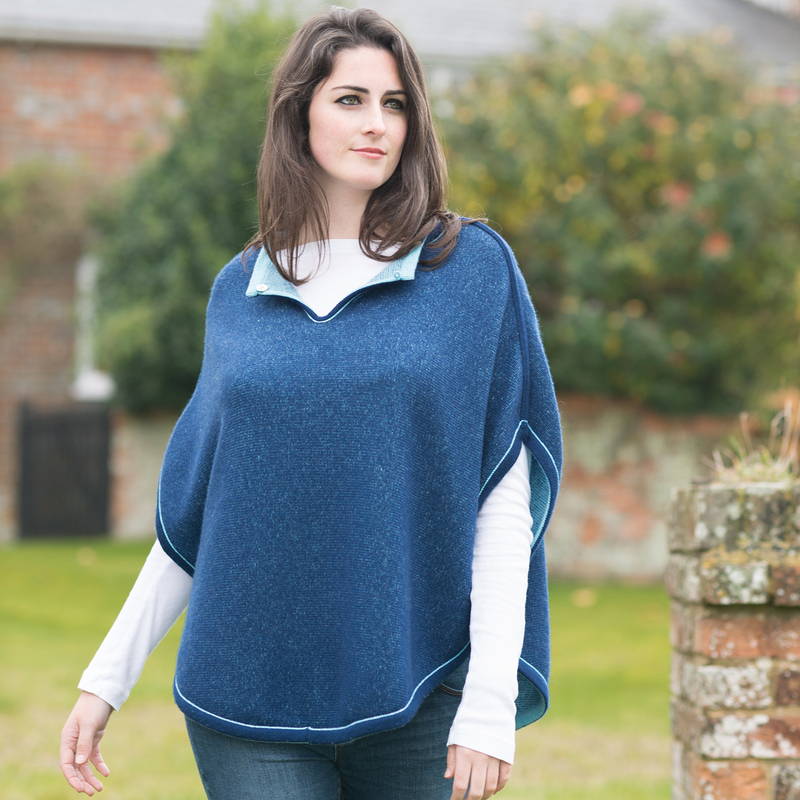 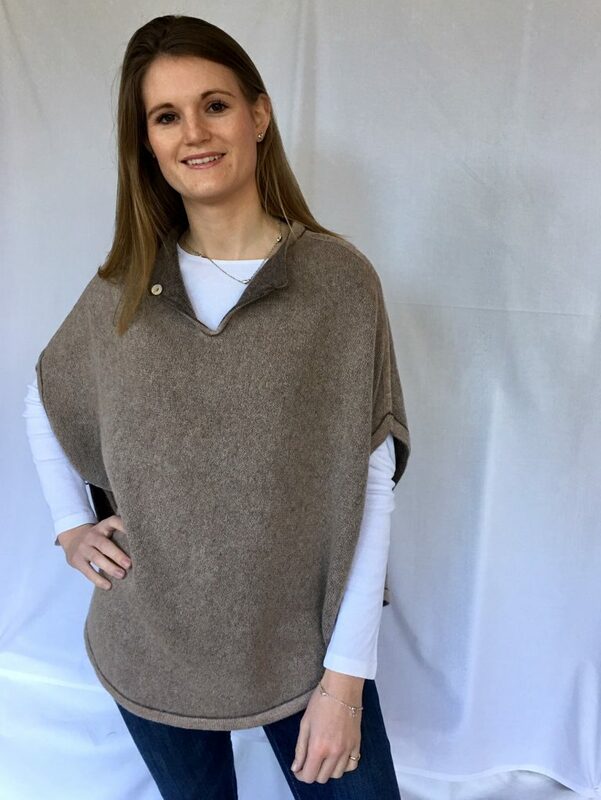 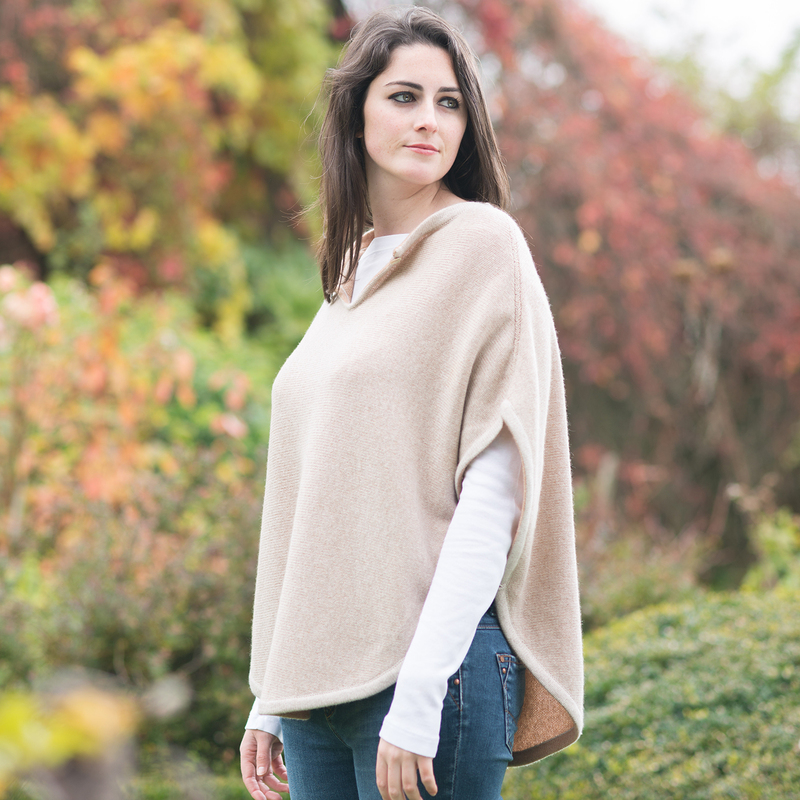 Our reversible ponchos can be worn either side. 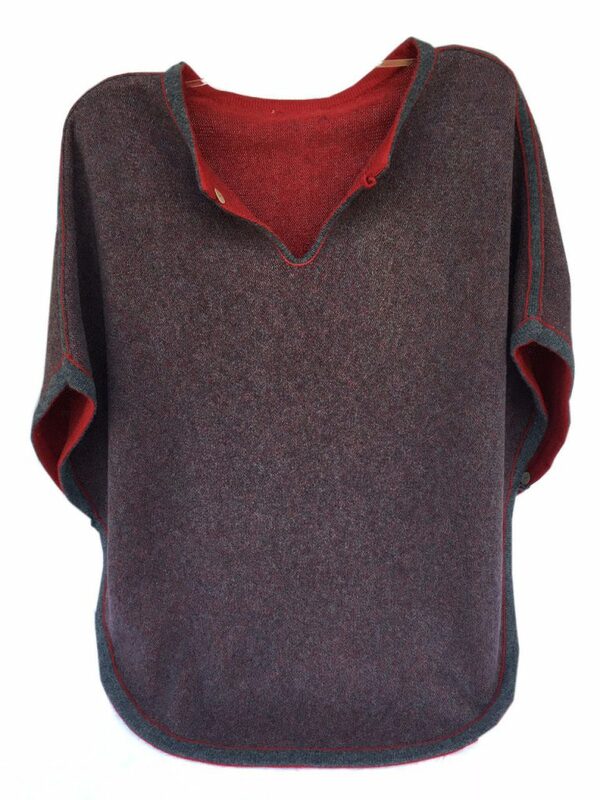 You may choose to wear the neck open to show the contrasting colour or done up with a mother of pearl button. 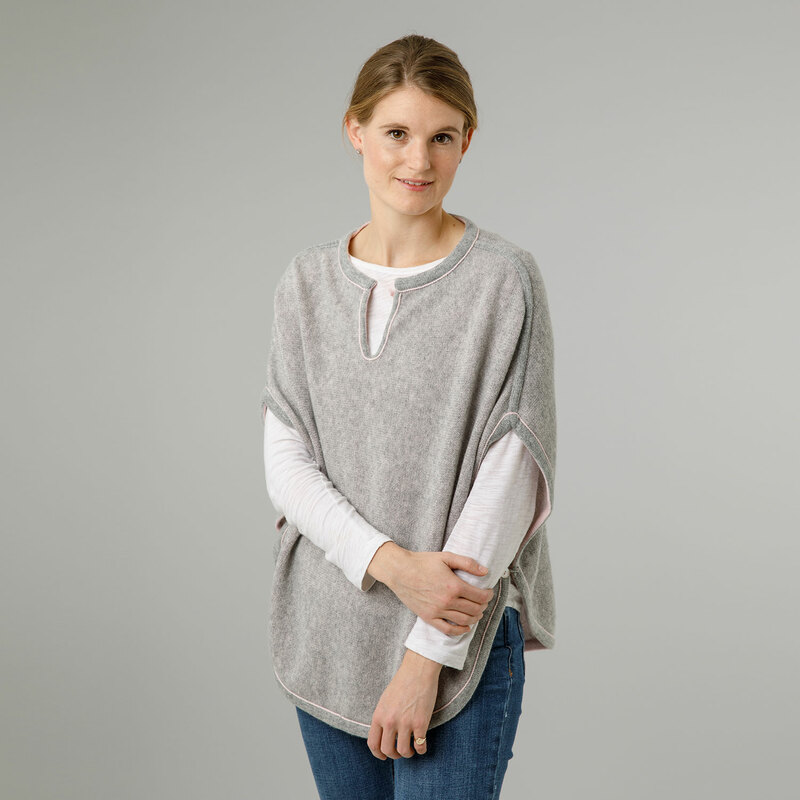 This wardrobe favourite is great for layering and creating an effortlessly stylish look.